Summer Fun on the Cheap! Spring Semester is finally over which means the summer fun can officially start! If you’re a starving college kid like me, every penny counts when it comes to entertainment during the break. Here are five different ways you can save money while having a great time! 1. Use the Utah Wilderness Wisely – We Utahn’s have been blessed with some of the best outdoor activities due to our beautiful mountains, crystal clear lakes, and stunning deserts (if you want to travel south). Take the opportunity to go hiking or biking with your friends. I am a firm believer in creating memories with friends, regardless of how much the activity will cost. 2. Free entertainment in the Salt Lake City Area – Salt Lake City holds a bunch of different free or inexpensive activities during the summer months including farmer’s markets, the Twilight Concert Series (http://www.twilightconcertseries.com/), and more. If you take the time to do a little research, you’ll be surprised what events you can find that are little or no cost to you. 3. Go on a “Staycation” – Skip Disneyland this summer. Instead, explore what Utah or surrounding states has to offer. Take an overnight trip to Park City, drive north to Crystal Hot Springs, or take that hiking trip with friends mentioned above. Not only will you have a great time, you’ll save a lot of money in the process. 4. Summer Sports Leagues – Summertime is the best time to play your favorite sport with your friends or some new people. For example, Beehive Sport and Social Club offers a wide variety of summer sports including sand volleyball, flag football, kickball and dodge ball for as low as $50 a player. Considering how many games you play, this is a great deal. For more information, visit http://www.beehivesports.com/. 5. 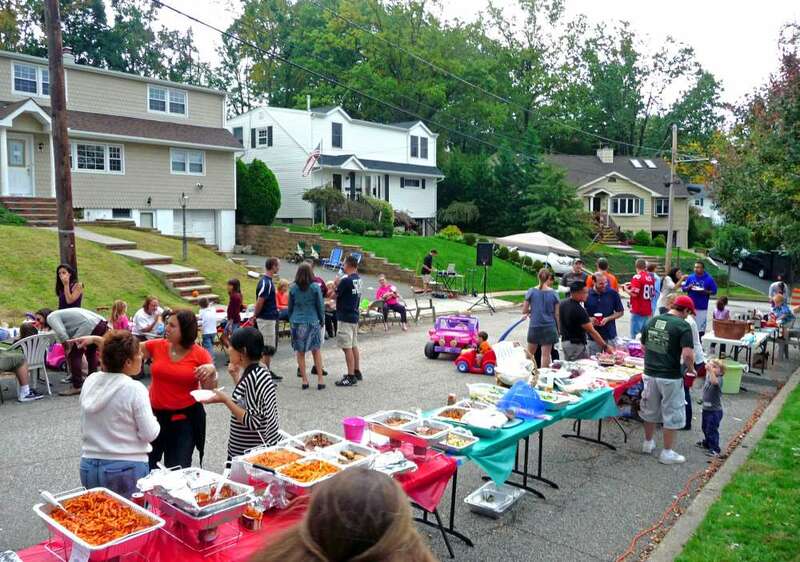 Hold a Block Party – Block Parties have gone the way of the Dodo Bird. No-one does them anymore. No-one except you! Invite your neighbors on your street, in your apartment complex, or wherever to a potluck, games, and other forms of entertainment. If everyone brings a dish and one game idea, you will connect and even meet some of your neighbors in a friendly atmosphere. Throw a Block Party and meet your neighbors! Many people believe summertime activities have to be pricey to be fun. Of course that’s not the case. If none of the above ideas interest you, do some research and find free or inexpensive activities that you love! It’s the Most…..Expensive Time of the Year! Summer has come and gone. The heat has transitioned into the cool, crisp weather of autumn. With the changing weather brings the changing of the seasons and all the fun holiday’s attached to them. In a three month span, we dress up and get candy, gorge ourselves on delicious foods and top it off with giving and receiving presents. Even the holiday season can cause stress. In this sense, it can harm us financially. Chances are you’re cooking Thanksgiving dinner this year for all your closest family and friends. If you’re not cooking, you’re probably traveling to get to said meal. With the steady rise of gas prices, long distance car trips or flying can cause a financial squeeze. This is why we must start saving now instead of later. Let’s do an example. A family of four needs to travel to Denver, Colorado from Salt Lake City, Utah to reach grandma’s house for Thanksgiving dinner. Even booking in September will cost each person on average $200 for round trip. $800 is considered by many a major purchase and should be saved for. Now for driving. Let’s say gas prices are averaged out to $3.70 a gallon throughout the road trip. Your car receives 25 mph on the highway for the 550 mile trip. This will round out to about $162.50 round trip. This is a much better deal but still on the expensive side. There may be additional costs including hotel as well. Imagine if you had to travel even further than the next state over. Things could become even more expensive than $160 to $800. If you don’t have to travel far for Thanksgiving, enjoy your meal and be merry! But, if you have to spend a significant amount to see your loved ones, it’s never too early to start saving for your upcoming adventure. Good luck!